Recently, I blogged about the similarities between security and long-distance running when it comes to preparation. When prepared, both security and running go a lot smoother. This week, let’s discuss how your financial institution (FI) can protect its digital and mobile brand from cybercriminals. Again, preparation plays a big part. From online and mobile apps, to new Internet of Things (IoT) devices, digital channels are creating unprecedented business opportunities. There’s no question this omnichannel presence creates a great customer experience, but new digital channels expose an FI and its customers to new digital risks. The financial services industry may be used to dealing with this risk because that’s where the money is, but hackers and fraudsters wanting a piece of the action are growing craftier. They’ll try to imitate a financial brand—across all external channels—with fraudulent mobile apps, social media accounts, websites, and phishing emails. Q2 fraud analysis confirms brand fraud is on the rise. And with the rise, the cost is significant: Around 73 percent of customers will reconsider using your company if you failed to keep their data safe. Remember what happened in September 2017? One of the biggest security breaches in history, with the personal data of over 143 million people put at risk of exploitation. The victimized company has a significant brand issue, to say the least. So significant that some wonder if it will survive. There’s a lot I’ve learned about security over the years. To provide a great customer experience and build a positive brand reputation while reducing security and fraud risks, every organization should design and apply a layered security approach. This is especially important to FIs, both banks and credit unions. It really doesn’t matter what the size of the FI is. A significant breach to a small FI in the rural U.S. or an attack against a large one in a major city can have the same erosive effect to a brand. No institution needs this-it’s already hard enough competing today. Detect when a device has been jailbroken and the setting allowing the device to download applications from unknown sources is enabled. 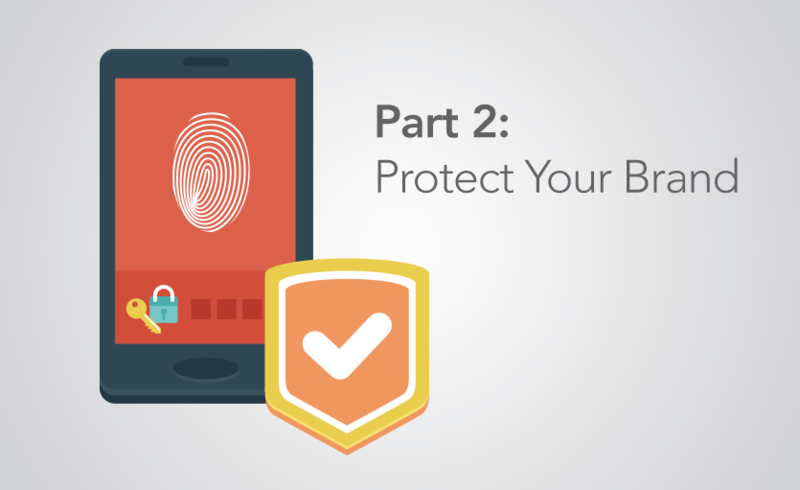 Provide multi-factor authentication and when it comes to mobile devices, additional authentication layers can be included. Receive alerts, notifications, and temporary access codes via SMS messaging, email, and voice mail to better mitigate suspicious activity. These are just some of the deterrents needed to keep an FI secure and its brand safe from harm. Join me next week as we discuss how Q2 protects your brand with our multi layered security approach by detecting anomalous transactions. Thank you for your interest, and Happy Cyber Security Month.